4.9/5 out of 483 votes. Aries Daily Horoscope for Today, Tomorrow and the Day after Tomorrow. 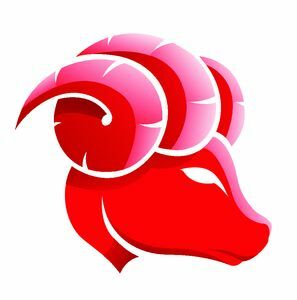 All the latest information you need about Aries Horoscope and updated Daily. Today's arena is one in which you can find a great deal of material. There will be no shortage of energy to work with or opinions coming from you. Realize that your words have a greater potency about them as people become more intent on uncovering the truth. Apply yourself to peace and cooperation among groups. Help people work together toward a common goal. You might consider taking a short trip today. Perhaps you need to get out of the house and go across town. Whatever it is, introduce your brain to a new reality. It's time to expand and explore. You itch to see new places and experience new things, either physically or mentally. Perhaps a religious sanctuary or quiet place in grove of trees is what you need in order to quench this inner thirst. Grab hold of the day's boisterous energy and run with it. This is a good time to kick up your heels and have fun. You might find that people are a bit more high-strung than usual, so you may need to use your ability to go with the flow. The more relaxed you are, the more relaxed others will be when they're around you.